Make sure you check your bill The Hotel tried to charge me for things that were already covered by the rate we were paying. Make sure you check your bill in detail. 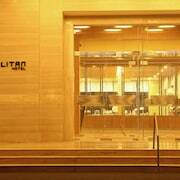 Redefining high standards of hospitality Been to 4 continents, this is the best experience by miles. If you are taking a sickie to head to the National Capital Territory of Delhi region and are looking for Delhi hotels, you have a veritable smorgasboard of choices from which to choose. We offer 405 hotel options within a 10-kilometre radius of Delhi. Within a 1-kilometre radius of Delhi's city centre is a selection of hotels visitors can enjoy, including the The LaLiT New Delhi and Radisson Blu Marina Hotel Connaught Place. There are 128 hotels in the neighbourhood of Central Delhi, so it's a great place to stay. In Central Delhi, the The Lodhi and The Leela Palace New Delhi are some popular options. Karol Bagh another Delhi accommodation district is 4 kilometres from downtown Delhi. 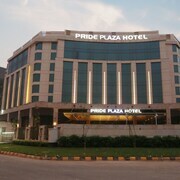 Karol Bagh has 107 hotels, including the Jaypee Siddharth and Hotel Regent Grand. Ghaziabad and North Delhi are other options. The Radisson Blu Hotel Noida and Jaypee Greens Golf & Spa Resort are in Ghaziabad. The Maidens Hotel, Delhi and North Avenue Managed By Peppermint Delhi are in North Delhi. The Crowne Plaza New Delhi Mayur Vihar Noida and The Leela Ambience Convention Hotel, Delhi are situated in East Delhi, and Vivanta by Taj - Surajkund, NCR and Vibe By The LaLiT Traveller are part of the Faridabad area. 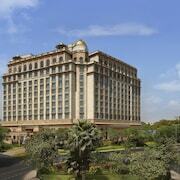 Check out the The Oberoi Gurgaon and also the The Imperial New Delhi. 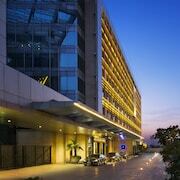 The The Oberoi Gurgaon is situated 20 kilometres away from the centre of Delhi. The The Imperial New Delhi is a kilometre away. 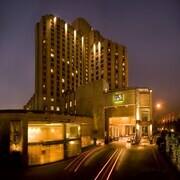 The The Taj Mahal Hotel, as well as the The Westin Gurgaon, New Delhi, are alternative accommodation options in Delhi. Once you have spent time in Delhi, ensure you have enough time to visit more of National Capital Territory of Delhi. National Capital Territory of Delhi boasts rivers and streams. Popular National Capital Territory of Delhi visitor attractions are the ruins. Or spend some time cross-country skiing, snow shoeing and rock climbing while you're here. It is well known that we Aussies are pretty laid back, so consider extending your stay and check out the Jantar Mantar and Presidential Palace, in New Delhi, 11 kilometres to the west of Delhi. 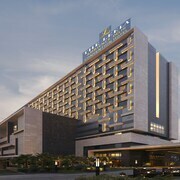 New Delhi hotels and accommodations include the Radisson Blu Hotel New Delhi Paschim Vihar and Sarovar Portico, Naraina. Or, you could stay in South Extension, 8 kilometres to the south of Delhi, where you can choose from the The Oberoi, New Delhi and ITC Maurya, New Delhi. The Moth Ki Masjid and Darya Khan's Tomb are popular sites to experience in South Extension. Just because you're travelling, doesn't mean you can't enjoy your passion for all things sport. You'll find Jawaharlal Nehru Stadium 6 kilometres to the south of Delhi. For tourists who are keen on booking a bed nearby, make a reservation at the The Lodhi or the The Imperial New Delhi. 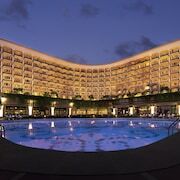 Travellers planning on arriving or departing via Indira Gandhi International Airport may choose to stay at the Dusit Devarana New Delhi or the JW Marriott Hotel New Delhi Aerocity, both of which are a short trip away.